Going to a jewelry store can actually be an overwhelming experience. Everything is dazzling you and prices are everywhere. Not to mention that they utilize lighting tricks and convincing salespeople as well. All of that can make it rather hard to pick out the right piece for yourself. So, why not take that process online? Find the best website for jewelry shopping and enjoy their search functions. You can find a selection of jewelry that perfectly fits your budget and style. And, all you have to do is click a few times. Of course, the issue with that plan is that there are thousands of websites that sell jewelry. So, to help you out, we have been scouring the Internet in the search of the best online stores. We were looking for websites that were easy to use and that offer unique designs. And, some of them even have physical stores. 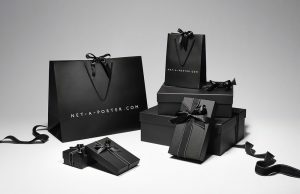 Net-a-Porter is one of the largest retailers when it comes to designer clothing. However, they also have an incredible range of jewelry in their offer. If you already visited this website, you probably know how carefully they select the brands they offer. When browsing for jewelry, you can choose to go through fashion, demi-fine, and fine subsections. Of course, you can browse by accessory type and even the designer that interests you. You should bear in mind that some prices are probably going to give you vertigo when you see them. However, don’t let that intimidate you. They actually have high-end trinkets that are very cheap. In essence, there is something for everyone on this website. 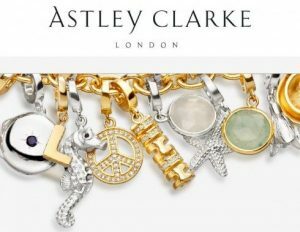 Astley Clarke from London actually designs their own collections in the offices above their boutique. However, they also work with guest designers from all around the world. Their cooperation usually gives us incredibly dazzling fine jewelry. But, not all of their prices showcase that. Sure, there are some pieces you would have to fork over your yearly salary for, but there are also some you could buy with a high schooler’s allowance. So, if you are not ready to spend too much, make sure to sort the items by price. This online store with a peculiar name is a favorite of many who enjoy high-street fashion. The pieces are cooler and higher-end, but they probably still won’t break the bank. Every piece of jewelry on this website gives off a subtle but cool vibe. That includes their studs, bracelets, pendants, and rings. Furthermore, the pieces all have a bit of an edge to make them pop. Sure, you won’t be able to buy gemstones on this website, but you will get beautiful and affordable jewelry pieces. 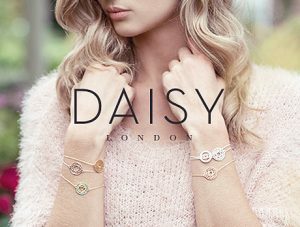 Daisy London is famous for its legendary Chakra collection and the way it balances spirituality with aesthetics. In fact, it was Daisy that paved the way for other jewelry focused around wellness. There is a symbol that denotes each Chakra and its meaning. Furthermore, many celebrities love shopping there. So, if this store is good enough for the likes of Rita Ora, Ellie Goulding, and even Cara Delevingne, it is good enough for us. In our opinion, these are the absolute best; hope you like their jewelry!